Our range of products include isi ring fit pvc pipes, ring fit pvc pipes, pvc elastomeric (ringfit pipes), ringfit isi pvc pipes, pvc pressure pipes (ringfit pipes) and agriculture pvc pipes. 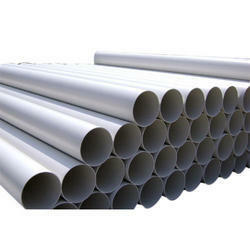 We are leading manufacturer of Ringfit ISI PVC pipes . Ranging from 75 mm OD to 315 mm OD in Class 1 to Class 6 pressure classes. We supply for irrigation, borewell casing pipes, building material, government supply, etc. Plant capacity of 8000 metric tonnes per Year. Modernized laboratory for quality assurance. 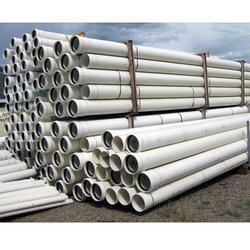 We are leading manufcturer of Ringfit ISI PVC pipes. 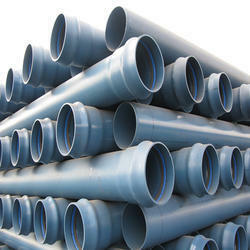 We are leading manufcturer of Ringfit ISI PVC pipes . The selfit (solvent cement joint) pipes have one end self-socketed and the other end plain, which fits snugly without the use of couplers. The strong solvent cement joint is permanent and trouble-free. Selfit socket are formed with high precision on specially developed machines. The number of joints are reduced by 50%, resulting in substantial saving in labor costs. The requirement of solvent cement for a pipeline is reduced by almost 50%. Eliminates the inconvenience of loose couplers, & reduction in inventory costs. 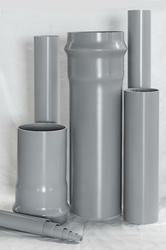 Selfit pipes are supplied in a standard length of 6 mtrs exclusive of the socket portion. 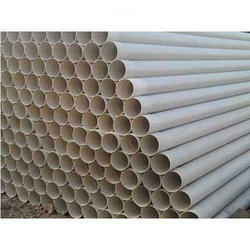 Combination of air and water is very dangerous for pvc pipes. Air being compressible nature, tends to accumulate in the pipeline and in case of non-functioning of air valves it results in high localized pressure. To avoid this phenomenon, good quality air valves should be installed at all peak points in the pipeline with a distance of 300 to 400 meters between them. Air valves are of two types: single acting and double acting. It is recommended that the size of the air valve be about 1/4th the diameter of pipe for the admission as well as release of air. The function of an air valve is the same as that of a nose in a human body. Plant capacity of 8000 metric tonnes per Years.